Family and friend gatherings are truly the best. They bring people together in a close way by bonding over food, fun and music. Picking music to play or DJ'ing can be a hassle for anyone that is not an expert in most forms of music. What type of music should I play? How long should I play the music? Does this music set the tone for my event. That is why you should hire a professional DJ for any type of gathering to ensure a great time. Elkhart DJ is a company that plays music for your needs. We play music for:weddings, birthdays, karaoke, prom, school events, corporate events, parties, anniversaries. Weddings and Anniversaries: Weddings are a very delicate event. Finding the right type of music can be difficult. Should you go with Jazz Music, Classical Music, Contemporary Pop or just slow love songs. At Elkhart DJ, we play the best music for weddings because we have an array of music that can set the tone and finish off a great night. Anniversaries are also very special because they commemorate the wedding of two people. Elkhart DJ will make sure you relive your wedding night. You can fall in love again. Birthdays: Birthdays are fun to DJ. The best music to play at birthdays is usually contemporary pop. Also if the birthday is for a kid, Elkhart DJs only play clean music. Unless of course you don't want us to which can be arranged. The customer is always right. A birthday party requires a skilled DJ not only required to play good music but to celebrate the birth year of the customer. Karaoke: Karaoke night is always fun. When arranging for a karaoke event, the only thing we need from the customer is a list of songs. Being a disc jockey, it is my my goal to make karaoke night as fun as possible while still giving the control to the people singing. Prom and School Events: Prom night is a very special night. You only have so many chances to get it right. We will do our best to make prom night as great as it can be. We do this buy doing our job and making sure the couple or loner has great music to make their night better. Another day that you will can never get back would be graduation. Celebrating graduation whether it be from high school or college is an enormous achievement. Don't ruin your night by hiring a bad DJ. Corporate Events and Parties: Would you like to arrange a party at your office or throw a huge party at your house? Either way it doesn't make a difference because Elkhart DJ is the company you call. At Elkhart DJ, We have the best company products and services. We can and will ensure that your night or day is fun filled with the appropriate music to help set the mood. 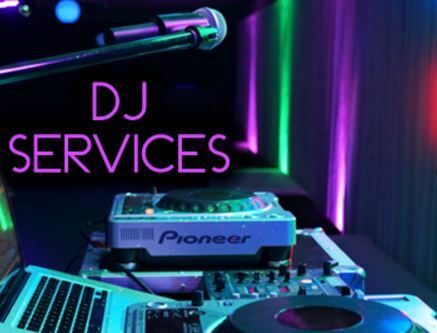 Elkhart DJ is the best DJ service in Elkhart, In. Do not waste your money hiring a bad Dj. Elkhart Dj provides a great music service at a fair price.